Aug 03, 2016 in "The Royal Welcome of Princess Elena of Avalor"
The Magic Kingdom will debut a new stage show August 11 - The Royal Welcome of Princess Elena of Avalor. Taking place on the Cinderella Castle Forecourt Stage, the The Royal Welcome of Princess Elena of Avalor will be performed several times a day from August 12. 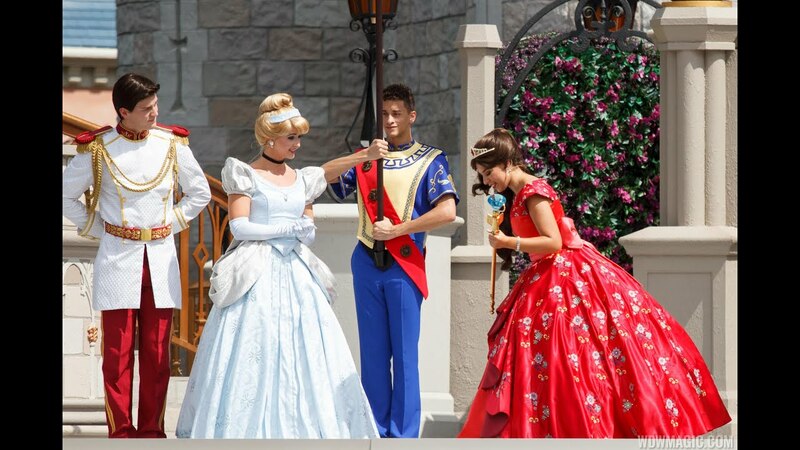 Cinderella and Prince Charming appear on the stage of the castle, dándole la bienvenida (giving a welcome) to everyone to this magical kingdom and introducing their special guest from Avalor. Princess Elena arrives accompanied by a troupe of regal banner carriers and musicians and when asked to share her historia, Elena picks up a guitarra and joins her musicians in a performance of the song “My Time,” recounting her magical adventures and triumphant return to Avalor. The limited time show will have a special performance at 10:45am on August 11, which will also be live streamed by Disney on the official Disney Parks Blog. Princess Elena airs on the Disney Channel series “Elena of Avalor” every Friday at 7:30pm. More from "The Royal Welcome of Princess Elena of Avalor"